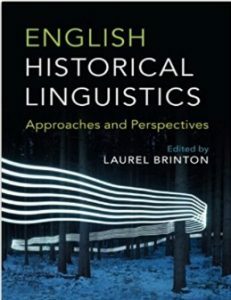 Written by an international team of leading scholars, this engaging textbook on the study of English historical linguistics is uniquely organized in terms of theoretical approaches and perspectives. Each chapter features textboxes, case studies, suggestions for further reading and exercises, enabling students to understand the strengths and weaknesses of each approach and guiding them on undertaking further research. The case studies and exercises guide students in approaching and manipulating empirical data, providing them with hands-on experience of conducting linguistic research. An extensive variety of approaches, from traditional to contemporary, is treated, including generative approaches, historical sociolinguistic and pragmatic approaches, psycholinguistic perspectives, grammaticalization theory, and discourse-based approaches, as well as perspectives on standardization and language variation. Each chapter applies the concepts discussed to data from the history of English, and a glossary of key terms enables easy navigation and quick cross-referencing. An essential resource for advanced undergraduate and graduate students of the history of English linguistics. Laurel Brinton is a specialist in the English Language, with a focus on the history of English. 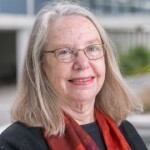 Her particular areas of interest include English historical linguistics, historical pragmatics (discourse markers), grammaticalization and lexicalization, phrasal verbs and composite predicates, corpus linguistics, and aspectual studies. She completed her PhD at the University of California, Berkeley, in English with a Linguistics Emphasis in 1981, and she has been working at UBC ever since.